Of the art techniques that gained popularity in the backlash against mechanical processes in the late nineteenth century, the most eye-pleasing may be pochoir printing. While chromolithography brought art prints to the masses, they were criticized as lacking the spirit of fine, hand-finished work. Pochoir (literally: “stencil” in French) offered a method of coloring prints by hand, though the process was, in fact, semi-automated. The production of images with stencils goes back to earliest recorded history, but the heyday of modern pochoir was the first few decades of the twentieth century, centered in France, as the process fit well with the art nouveau and art deco aesthetics, producing limpid, rich illustrations for fashion magazines and compendiums of textile and interior decoration designs. Among the most beautiful works that show the range and depth of pochoir are Sonia Delaunay’s Compositions, Couleurs, Idées (1930) and Jean Saudé's Traité d'enluminure d'art au pochoir (1925), which demonstrated the process in successive stages. The steps of making a pochoir illustration are rather basic, but they required a steady, attentive hand. A key print for an illustration was done first—usually a lithographic print in black. Colors to be added were then recorded on a master print, painted by hand, often by the credited artist. The next step was the creation of stencils for each separate color. These can be cut from heavy paper, but most often, a thin sheet of copper was used, for strength and durability. The application of color was done is a workshop, usually by young women, who one-by-one, used the stencils to paint on a single hue using gouache—watercolor paint thickened and made opaque with an additive. The laying down of color requires attention to the master illustration, as the goal is to make each copy identical. (The work done on Blaise Cendrars’ and Sonia Delaunay’s Le Prose du Transsiberien (1913)is astounding; every copy that I have seen appears to be identical—down to areas of faded and mixed colors.) The final product has the appearance of a unique artwork. The process survives today with some bookmakers and artists, though the handwork makes it much more costly than most print-making processes. The most striking pochoir portfolios are arguably those of E. A. Séguy: Papillons (Paris: Tolmer, 1925) and Insectes (Paris: Editions Duchartre et Van Buggenhoudt, 1929). These highly collectible publications each contain twenty plates showing precisely drawn and colored examples of butterflies and insects from around the world. Sixteen plates of each set are composed of technically exacting renderings of the bugs. The remaining four plates for each publication use insect and butterfly shapes and colors to suggest patterns for textiles and wallpapers. The results are stunning. The work of Séguy came to wide recognition in 1977 when Dover, the low-cost publisher, produced paperback facsimiles of the two books (for which original copies are nearly unobtainable). Those repros—along with postcard sets and wrapping paper—introduced the work of Séguy to a large audience. But that is where a certain difficulty began: Just who was this person Séguy? When was Séguy born? What other works did Séguy create? Giving credit where it is due is a big concern for librarians like myself, and it is often difficult to pin down identities of some creators, most often due to a lack of information. In this case, however, much of the difficulty has been because there is an abundance of faulty info. There are numerous citations on websites and in printed sources of a “Eugene Alain Seguy,” described as a Parisian painter and entomologist being responsible for the gorgeous illustrations. Most websites claim that not much is known about this mysterious artist-scientist from the early twentieth century. While there may be not much to go on in the US, in France, they certainly know who is who. It so happens that there were two Messieurs Séguy living in Paris in the 1920s, near-contemporaries working on an overlapping area of interest that seems too precise to have been coincidental, but a coincidence it indeed was. This pair of doppelgängers was (to cite the name authority files of the Bibliothèque Nationale de France): Emile-Allain Séguy (1877–1951) "Designer de motifs décoratifs de style Art nouveau" and Eugène Séguy (1890–1985) "Zoologiste et entomologiste. En poste pendant presque 50 ans au Museum d'histoire naturelle." So we have one artist-designer and one entomologist. Emile-Allain had a very long career and was known for his very fine illustration work with decorative objects. He authored around ten books, worked on leather bookbindings, pioneered the use of lacquer as a finish on furniture, and was a decorative specialist at the department store in Paris now known as Au Printemps. Eugène was a renowned expert on diptera (mosquitoes and related biting flies) whose bibliography includes over fifty publications. A quick search of a library catalog using “seguy” and “insectes” will likely bring up titles by both men. The confusion between the two real Messieurs Séguy was so rampant that even scientific publications made the mistake of claiming the admittedly brilliant Eugène Séguy as an Art Deco artist. The April 2009 issue of the Journal of the Federation of American Societies of Experimental Biology used a plate from Insectes as a cover image, attributing it to the “Emile-Alain Séguy (1889–1985) . . . an entomologist and member of the French Academy of Science . . .”. The mistake is understandable, but it demonstrates how a misattribution can replicate prodigiously online. This case of mistaken identity brings up an issue dear to the heart of librarians: Who catalogs the Internet? For the time being, the World Wide Web is largely self-cataloging and open to misattribution. There are efforts to make universal name authorities to distinguish individuals. The most prominent is INSI, the International Standard Name Identifier (insi.org). So, in terms of that standard, Monsieur Eugène Séguy (INSI #0000 0001 1024 6248) is the scientist known for his pioneering work on entomology and the talented Emile-Allain Séguy (INSI #0000 0000 8386 3848) was the one who created the pair of books showing the beauty and innate decorative qualities of Insectes and Papillons. The author acknowledges a short article from 2012 by Bruni Didier in Insectes, the publication of OPIE (Office Pour les Insectes et leur Environnement) that clarified many aspects of the identities of these two authors. All Emile-Allain Séguy images from Beinecke Library’s Digital Library. Homepage image: drawing of a fly made by Eugène Séguy the entomologist, from Annales de la Société entomologique de France (vol. 26, no. 3, 1990). 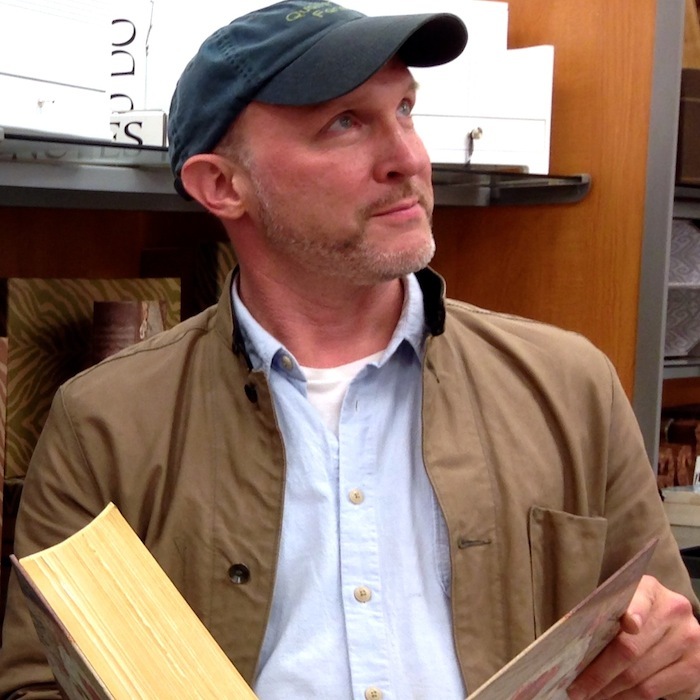 Timothy Young is a writer and curator living in Connecticut. His latest book project is The Uncollected David Rakoff (Anchor Books, October 2015), which he compiled and edited. He contributes regularly to The Yale Review, writing on music and books.